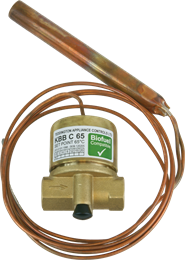 A Fire-valve is an important safety device on your oil boiler system. Very simply, it shuts off the supply of oil to the boiler should it detect a certain temperature in the boiler casing, i.e. if there’s a fire. It should stop the oil from fueling any fire you have in and around your boiler. There are two main styles of Fire-valves, Remote action and Handwheel head. The remote action fire valve is required by OFTEC to be sited on oil lines to all new boiler installations. If an external boiler, this needs to be sited at least 1.5 metres away from the boiler itself. If on an oil line for an internal boiler it needs to be sited outside the property with the phial to be located inside the boiler casing. It should be fitted with the head (bulbous part) on top. 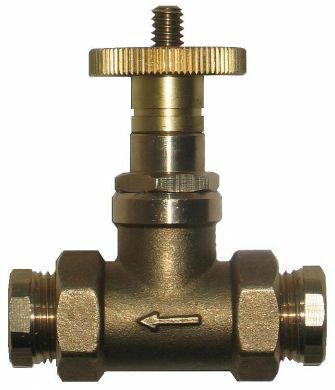 The Handwheel head style is still used in some modern installations, most notably on HRM Wallstar boilers where it id combined with a non return valve. If you have a Handwheel style fire valve in your boiler casing on a non HRM Wallstar boiler this should be replaced with a remote action fire valve. Fire valves should be inspected on your annual service and replaced/relocated should they not meet current OFTEC standards. Note: HRM and OFTEC are not agreed as to the suitability of the Handwheel style recommended on the Wallstar boiler. It is a ‘grey’ area. This entry is filed under Boiler Care and tagged Fire Valves, safety.